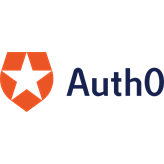 Auth0, a global leader in Identity-as-a-Service (IDaaS), provides thousands of enterprise customers with a Universal Identity Platform for their web, mobile, IoT, and internal applications. Its extensible platform seamlessly authenticates and secures more than 2.5B logins per month, making it loved by developers and trusted by global enterprises. Auth0 has raised more than $110 million to date and continues its global growth at a rapid pace. We are consistently recognized as a great place to work based our outstanding leadership and dedication to company culture, and are looking for the best people to join our incredible team spread across more than 35 countries! Are you interested in building an amazing customer experience at scale? Do you want to improve your knowledge of security? Would you like to help our customers make their applications more secure? Are you ready to make the internet safer? The IAM Authorization team at Auth0, develops and maintains the Authorization capabilities of our platform. We work on designing and developing new features and improvements related to security, scalability, performance and functionality to protect and empower our users and take our platform to the next level. You will have the opportunity to gain a greater understanding and context about how Auth0 works and deepen your knowledge of authorization, security, databases and how to build reliable, highly-available distributed systems. You can learn more about how we hire here.